Limited Availability - Only 1 left! - So much more than a simple salutation, "Namaste" is an acknowledgment of the divine spark within every one of us. This gorgeous full-color bumper sticker measures 2 3/4" by 11", and is reposition-able (can be temporarily repositioned during application). 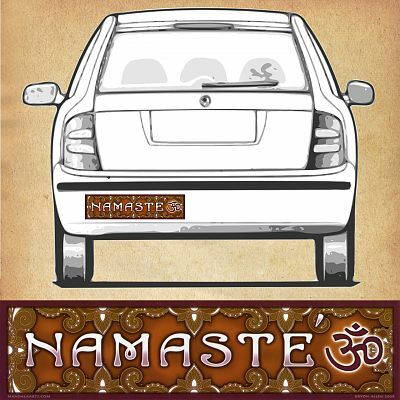 Do you have any other questions about our Namaste - Bumper Sticker?